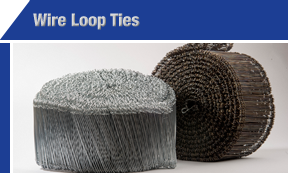 Centennial Wire Manufactures all your Wire Loop Tie requirements, from 4" to 24", 18-16 Gauge, in Black Annealed, Galvanized & PVC Coated, Centennial Wire Products manufactures them all. Please refer to our Bar Tie Table for determining what tie length is recommended for tying various rod sizes. Centennial Wire’s Rebar Tie Wire is made from Black Annealed wire produced in-house to ensure that our customers receive the best quality product. Galvanized & Stainless Steel Tie wire is also available for increased corrosion protection. All Product is available from 12 to 18 gauge. 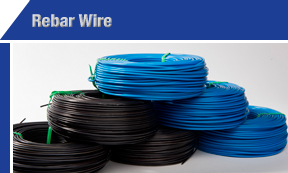 If Epoxy-coated Rebar is specified in your project, Centennial Wire also produces PVC coated Tie Wire. Centennial Wire’s Merchant Tie Wire is made from Black Annealed wire produced in-house to ensure that our customers receive the best quality product. Galvanized & Stainless Steel Tie wire is also available for increased corrosion protection. All Product is available from 6 to 18 gauge. 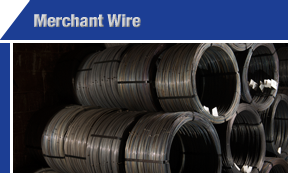 Merchant Wire is packaged either 50 or 100 pounds per coil. 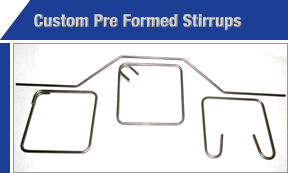 With our in-house capability to manufacture wire forms, combined with our extensive wire supply, Centennial Wire produces Pre-formed Stirrups for any application in virtually any configuration. Have your engineers send us their requirements and Centennial Wire can provide you with the product you need. We ensure all products have Mill certificates making sure your products meet or exceed material conformances. Centennial Wire also manufactures Pencil Rod. This product is a straight and cut rod in smooth or deformed steel wire. 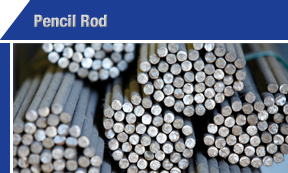 Pencil Rod is most commonly used many different forming applications, battered walls and foundations of unusual width where snapties are not practical. Pencil rod is simple and economical where surface appearance and clean breakbacks are not essential. The diameter range is from 3/16” to ½” and available in lengths from 2’ to 20’. Pencil Rod is also available in 50 or 100 lb coils. Are you designing or have an idea for your concrete projects? Are you looking to speed up installation of rebar or using supports in grade beams? 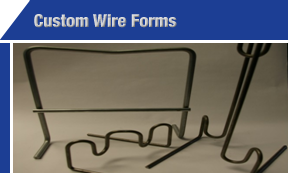 With our in-house CNC wire forming, Centennial Wire Products can produce virtually anything you can think of for your wire formed Concrete Accessory needs.